1FitLife is a fitness & lifestyle production company specialising in the Fitness and Video On Demand industry. We provide everything from on-set and location production, fitness models, post-production as well as marketing support to bring your content alive. Getting cut through is not an easy snip, chop, slice. It takes creative thought, detailed planning, and perfect execution. Here at 1FitLife our purpose is to 'breathe life into fitness and lifestyle brands' through creating emotionally involving content. Once a brand has new content, we don't leave it there. We help maximise it's effect, showcasing it through marketing channels and new technology platforms. Return on your investment is all important to us. So, see us as different from the others, we are fitness experts who pride ourselves in creating and showcasing engaging content to attract new followers, subscribers or fans of your brand. Anna has global experience in the Music and Fitness industries. This experience extends right across TV, Video Production, Radio and Press for well-known artists. Over the last 5 years, Anna has been producing engaging fitness content for the On-Demand Video fitness industry. 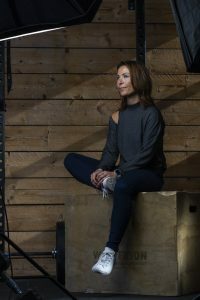 Anna is a fitness expert with extensive experience as a qualified Master Trainer, Group Exercise & Pilates Instructor and Nutrition Coach and still has a handful of clients and classes. Anna loves Running and Pilates. Originally from the North East of England, Ben has lived abroad for many years. Places including Geneva, Dubai, and Milan. This has led him to see many different cultures and ways of life, which has helped sculpt his creative eye and draw meaning to different compositions. Ben studied Commercial Photography at the Arts University Bournemouth, specialising in advertising photography and videography. Outside of work, Ben spends his life on bikes competing at a very high-level in track racing. 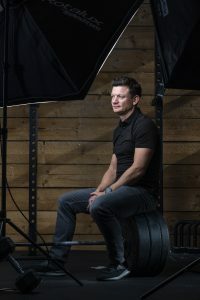 With 20 years in the fitness industry, David specialises in creative thinking, marketing/brand and fitness technology. Inducted into Marketing Weeks Vision 100 as one of the most visionary marketers of 2015. This was achieved by leading Fitness First health clubs through a global rebrand which won best rebrand and best brand implementation at the transformation Awards 2015. David also founded a digital fitness business which successfully sold in October 2017. 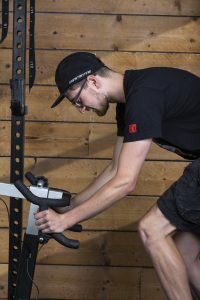 David is a multi-Ironman triathlon finisher and keen Crossfitter. 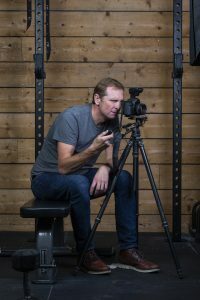 Jay Simpson has worked as a photographer/videographer for over 20 years mainly in the advertising industry. With a pedigree of working with brands such as P&O Cruises, Fruitella, FitBench, Woodway, Mentos & Condor Ferries. Areas of specialty include TV commercials and motion graphics stills photography, brand and social media video content, video editing. Jay has a BA in commercial photography achieving first class honours. He is also now a visiting tutor at the Arts University, Bournemouth. Jay is an Ironman finisher, competitive rower and gym enthusiast. Shelley has always been active from a young age competing internationally for Dance and Trampolining and competing in County competitions for Athletics. Shelley went on to achieve an Undergraduate degree in Sports Science in 2009, shortly followed by becoming a qualified personal trainer, exercise to music, spin, boxing and body balance instructor as well as a massage therapist. Shelley spent 5 years working in gyms as a fitness model, personal trainer and class instructor and has spent the last 4 years producing fitness content for a mobile application. In her spare time, Shelley enjoys training, CrossFit, travelling and spending time with her son.